Rare Glover's Rabbit Trap. 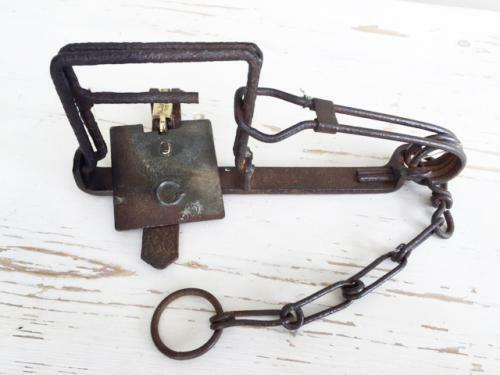 Their take on the Lloyd trap with the raised bars designed to break the back of the animal. When the jaws are folded back the centre bar affixes to the brass catch that holds the trip plate and trap set. This is the only example of this trap I have come across. Marked Glovers No 6R on the catch and a 'G' on the plate.